The game based on the successful TV show! 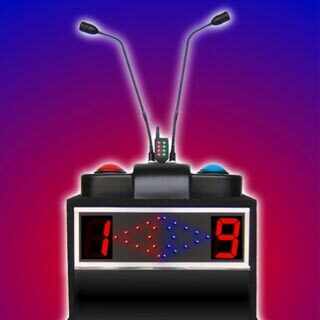 Survey says: Let’s play Fabulous Feud – the fast-paced game based on the successful TV game show! Try to guess what 100 people said when they answered our survey questions. Beat the average score or go head-to-head with a friend or an entire team! Our friendly game show host creates a fun, high-energy atmosphere and keeps the excitement going with lively commentary. Pass, Play, Steal and Strike! The game features over 2,000 questions and 10,000 answers from a wide variety of topics. Up to three 20-minute rounds can be played per hour with four to six people per team, per game.